So you’ve got your website built but it doesn’t appear in the search engines even for your company name. Why not? Many new website owners think that once they upload their site to the net it will instantly be recognized by the search engines. This is not true. The search engines find your site through links. For example if CNN links to an article on your web page you’ll instantly receive thousands of visitors because they get redirected through the link on their site. Should you submit your website to 1000s of search engines and directories? Do you want to get more mileage out of your articles? Most folks write an article then submit it to online article directories. This will generate some traffic however competition for eyeballs is fierce these days so you need to find alternative ways to attract more readers. 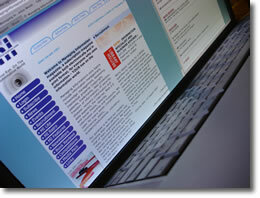 EzineArticles now has the ability to automatically syndicate your articles to your twitter account. 1. Every time your article is submitted/reviewed and accepted by EzineArticles.com it automatically gets announced on your Twitter account within the space of 140 characters. 2. There is no need to rewrite your article. People that see your article on Twitter can will get redirected to your article on EzineArticles by clicking on the link in your Twitter account. 3. More traffic. Twitter is in the top 1003 sites on the Web according to Alexa. You can include a link to your website on your Twitter account. A backlink from a high traffic site helps boost your search engine rankings. 4. More visitors – as the number of followers and people following you on Twitter increases you’ll have more visitors reading your articles, visiting your web site and potentially increase sales. 5. Write more articles. Every article automatically gets tweeted so the more articles you submit the more often your Twitter account gets updated. How to setup your Twitter account within your EzineArticles account. 1. Upload your author photo. 2. Upload your 140 character author bio. 3. Involve yourself in conversations taking place on your Twitter account. This is the fastest way to attract Followers to your Twitter profile. Directory of EzineArticles Expert Authors who also Twitter. Affordable Web Site Design, Web Hosting and Marketing.